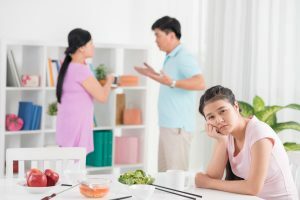 Child Custody: At What Age Can My Child Decide Which Parent to Live With? Children are their own unique individuals. They have their own thoughts, personalities and preferences that we learn to respect and nurture as they grow. How does respecting their wishes play into the decision about which parent they live with after a divorce? The answer is that a child does not decide. A person is considered a child until the age of 18, and until that child reaches adulthood, his parents and the court are responsible for making these decisions for them. This includes determining where and with whom the child should live, along with the child access schedule. It is in the best interests of the child that this choice does not rest on his shoulders. When the decision is made, his wishes may be taken into consideration along with other factors. Obviously the age of the child has some impact, but so does the credibility of what is said and WHY it is said. Often the child is not equipped with the maturity to understand what is best for him in the long term. If you consider that the child might want to live with the mother because she has no rules, no bedtime, no requirement to go to school or do homework, versus the father who has standards and rules and expectations, you can see why. There are emotional impacts that are avoided by removing the choice from a child’s hands also. He will not be held accountable for the decision and therefore need not to feel guilty about choosing one parent over the other. Having the benefit of two parents being involved in a child’s upbringing is almost always beneficial. This is something that he may not see in his youth, but future successes may depend on. It is important to note that in Maryland, a child at the age of 16 has the right to petition for a modification of custody. Presumably, that indicates the opinion of a 16 year old should be taken seriously. There are some instances when a child’s plea to live with one parent instead of the other is indicative of a deeper issue. If you suspect that your child does not want to stay with his other parent because he is truly in an at-risk situation there, then involve your attorney immediately. Together you can decide how to best handle moving forward. 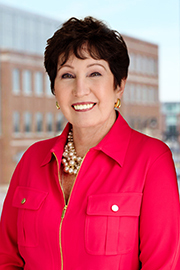 If you need an attorney to help you and your family re-evaluate custody as the children age, please contact Linda Sorg Ostovitz at lostovitz@offitkurman.com or 301-575-0381.